• The United States Department of Commerce (US DOC) imposed Countervailing Duty (CVD) on India’s exports of Hot Rolled Carbon Steel Flat Products. India had challenged the determinations made by the US DOC in various investigations / reviews treating several programmes of India as subsidy whereas, these programmes do not confer any subsidy on the Indian exporters. Various provisions under challenge were that of US Tariff Act and the Code of Federal Regulations as being inconsistent with the provisions of WTO Subsidy Agreement (ASCM). The Panel Report was circulated on 14 July, 2014. •	Thereafter, India and the US appealed before the WTO Appellate Body (AB) on various issues related to the Panel’s Rulings. On 8 December, 2014 the AB published its Report. 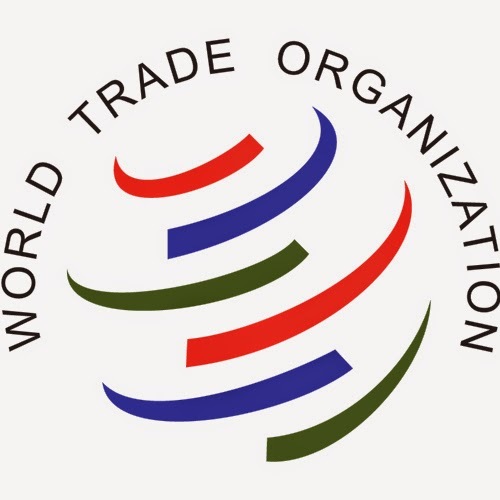 •	India has achieved a significant victory at the WTO, as the AB held that the Countervailing Duty (CVD) measures imposed by the United States against “certain Hot Rolled Carbon Steel Flat Products” are inconsistent with various provisions of the Agreement on Subsidies and Countervailing Measures (ASCM). It will definitely help the domestic manufacturers who had been suffering on account of inconsistent practices by the USDOC. •	Under the US law, cumulation of subsidised imports and dumped imports is mandated for the participating countries to arrive at the injury margin. India challenged this measure as it has been impacting the CVD investigations by the US leading to exorbitant CVD against India. The AB ruled, in line with the Panel ruling, with a minor modification and found that the USDOC determination pursuant to Section 1677(7)(G)(iii) is “as such” inconsistent with Article 15 of the ASCM. It may be recollected that the Panel Ruling on inconsistency of the US application of this measure was not appealed by the US. The implication of this Ruling is that the US has to amend its domestic law to be WTO compliant and so far as the pending and the future CVD investigations are concerned, the same would be subject to challenge if cross-cumulation is applied again. It has significant trade impact for India as out of the current 10 products on which US has imposed CVD, about 7 products suffer from the same inconsistency. •	The AB has emphatically endorsed India`s position that a Public Sector Undertaking (PSU) shall be treated as a “public body” only when they possess governmental authority and discharge governmental functions. This ruling would provide significant relief to exporters who buy raw materials from PSUs such as SAIL or NMDC. The ruling also has world-wide implications on how the WTO disciplines on subsidies can be applied against alleged financial contributions from State-owned enterprises. •	The AB also agreed with India that the United States` benefit methodology while calculating the benefit in the case of sale of iron ore by NMDC is unfounded. The AB confirmed the Panel`s reasoning that proxies indicating domestic prices cannot be ignored in determining benchmarks under the ASCM. •	The AB Report is also relevant with regard to a number of other systemic issues concerning the implementation of ASCM. For instance, on the aspect of determining an appropriate benchmark to determine benefit, it has now been clarified that investigating authorities cannot presumptively reject government-related prices as relevant benchmarks; in applying adverse inferences against non-cooperating parties, investigating authorities cannot arbitrarily choose to apply any inference, but instead account for all substantiated facts; and in selecting one fact over another in such cases, the finding is to be supported by reasoning and evaluation. This AB ruling will usher in transparency in the conduct of investigations by all the Member countries. •	Further, the AB has ruled that investigating authorities do not have the unfettered right to add new subsidies in the course of reviews of existing CVD measures. Only new subsides that are closely linked to subsidies examined earlier can be added in a review proceeding. This has significant systemic implications on the United States’ practice of indiscriminately including new subsidies during annual Administrative Reviews. •	India will actively monitor the implementation of this ruling by the United States in order to ensure that the interests of Indian exporters are fully protected. India`s efforts in this dispute show case its commitment to ensuring a level playing field for its industry. India recognizes with appreciation the contribution made by various stakeholders including the domestic industry, the law firm and the various departments who worked in close coordination to achieve this result.